Alexis Tsipras could quit as Greek prime minister if the country votes for a bailout proposal he rejected. European leaders made clear they could yet save Greece from economic chaos, but there would need to be a political earthquake in Athens first. A resignation by Tsipras could be such a big event. On Monday night in Athens, Tsipras dropped heavy hints that he may indeed quit if the referendum he called for July 5 goes against him. "If the Greek people want to move ahead with austerity ... for young people to move abroad in their thousands, for us to have unemployment and for us again to be moving towards new programs, new loans... if that is their choice we will respect it, but we will not carry it out," he said in an interview with Greek TV. "I am telling you that I cannot be a prime minister under all circumstances." Greek banks were shuttered Monday in a desperate bid to prevent financial collapse. And European leaders stuck to their position that Greece was on its own, at least for now. They're furious that Greece walked out of talks Friday. Tsipras announced a few hours later that he would urge Greece to vote against the proposal they were still discussing. The bailout offer legally expires on Tuesday, five days before the vote. 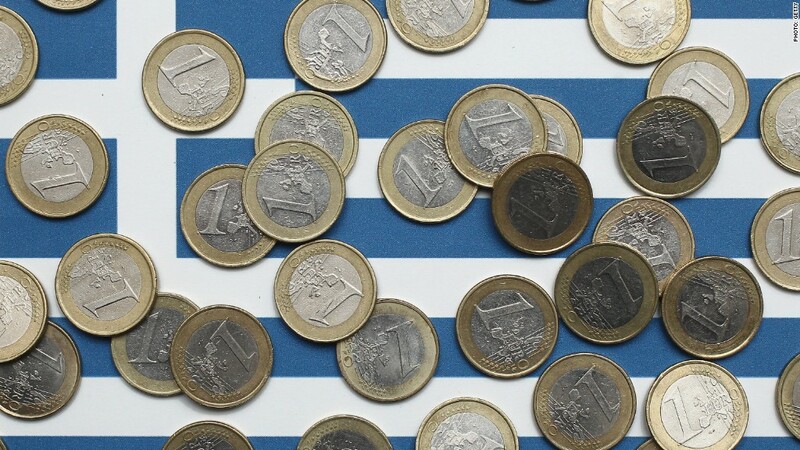 German Chancellor Angela Merkel and other leaders made clear that the choice before the Greek people was really about whether Greece should keep the euro or return to the drachma. "This is the choice," tweeted Italian Prime Minister Matteo Renzi. It's unclear how Sunday's vote will go. Tsipras has enjoyed strong support among Greeks who have suffered years of austerity tied to previous rescue loans. Equally, most Greeks tell opinion pollsters they want a deal to stay in the euro. "A no vote will mean that Greece is saying no to Europe," said Jean-Claude Juncker, president of the European Commission. A "yes" vote, however, would mean repudiation of Tsipras' negotiating position -- and could be followed quickly by talks on a new rescue. Merkel said European leaders were not planning to meet before Sunday's vote, but could convene soon after. And they would be open to talks on a new rescue should the Greek government request them. In practice, it's hard to see how those negotiations could happen with Tsipras, who has accused Europe of trying to blackmail and humiliate his country.